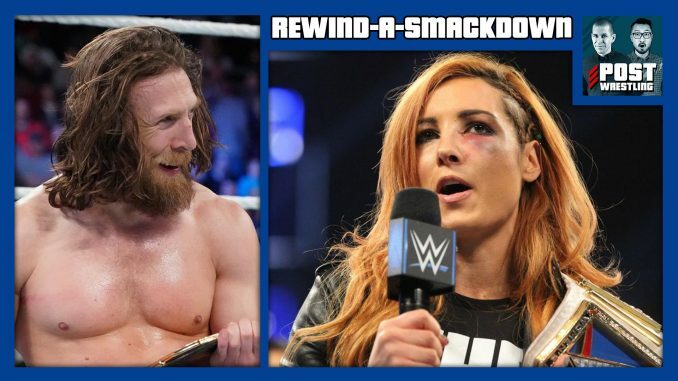 We have a huge edition of SmackDown Live to discuss as the WWE revamped the top matches for the Survivor Series with Daniel Bryan defeating AJ Styles to become the WWE champion, Ronda Rousey has a new opponent for Sunday, Bryan’s replacement for the men’s team on SmackDown, the latest on Becky Lynch and tons more. John & Wai will preview the new lineup for Sunday’s Survivor Series card with a match-by-match discussion. Wai Ting reviews the Mixed Match Challenge involving all four undefeated teams facing off. We discuss TODAY’S TOP STORIES including the the injury to Becky Lynch and what happened on Raw, the new lineup for the Survivor Series, and lots more to discuss.